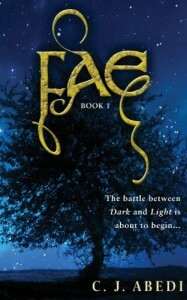 Fae was a romantic fantasy mostly about two teenagers and whether they should be together or not. It's an alternating POV story based on what Caroline and Devilyn are thinking. Caroline represents how most teenagers are today, she doesn't value herself enough and has boy issues. I thought Caroline was a very honest and sweet MC, her insecurities just made her relateable. Devilyn also represents how most "jock" teens are, he thinks he's number one and incredible; I'm not really a fan. The introduction of not only fae, but Norse gods as well like Odin was intriguing. Odin was a fun character and definitely a Shepherd throughout the book, trying to push Devilyn to do what he needed to do. This was a cute and age appropriate book for a teen lookin for some romantic fantasy, it's sweet and will lead to a more action packed installment.